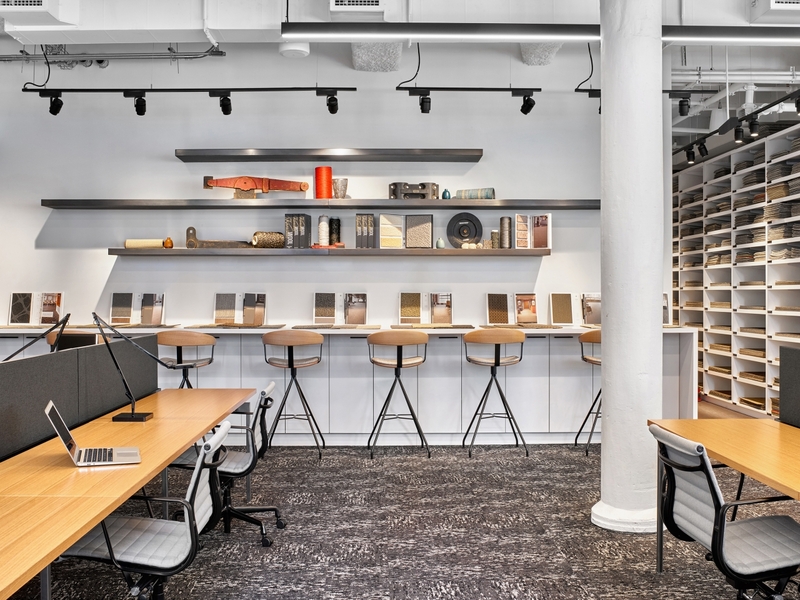 NEW YORK, February 28, 2019 /3BL Media/ —Mohawk Group has officially attained LEED® v4 Gold certification and WELL™ Certification at the Platinum level for its flagship showroom in New York. Designed by Gensler, the 13,000-square-foot Chelsea retail space is one of the few projects in the world to be certified under both programs and associated levels. 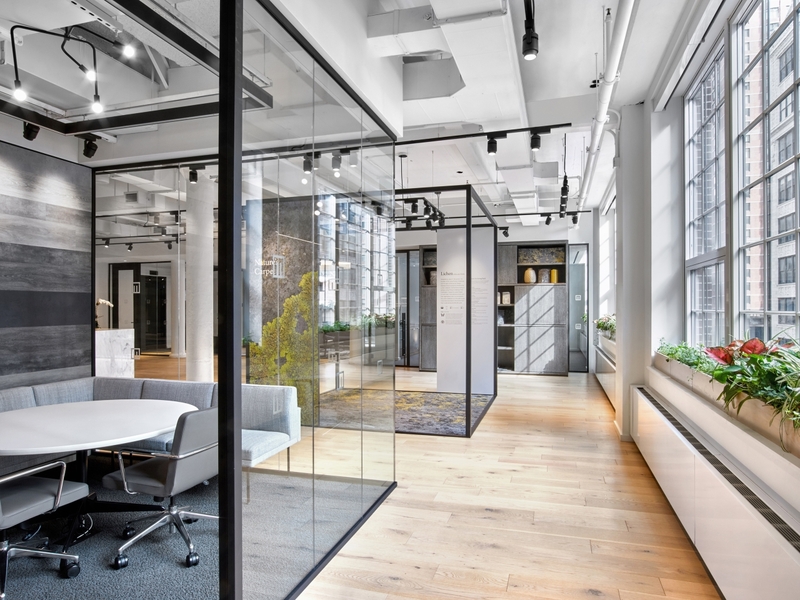 The showroom’s biophilic inspiration, open and modern aesthetic, and building credentials express the company’s commitment to innovative, stylish flooring and sustainable design. To meet the stringent requirements of both certifications, the world’s leading producer and distributor of quality commercial flooring implemented unique measures to support employee health and wellness and incorporate responsible nature-inspired design. These efforts included: sourcing products that were either Red List-free with a Declare Label or had an Environmental Product Declaration and/or Health Product Declaration; integrating an indoor herb and plant garden; specifying daylight harvesting light sensors with energy-efficient LED lighting; incorporating natural daylight throughout; stocking healthy food options for employees and guests; ensuring indoor air quality and offering complimentary off-site gym memberships to showroom employees. Atlanta-based Ecoworks Studio served as consultants for the project. The WELL Building Standard™, delivered by the International WELL Building Institute™ (IWBI), is a performance-based certification system that marries best practices in design and construction with evidence-based scientific research, focused on enhancing health and wellness through the buildings where people live, work and play. Mohawk Group earned Platinum level certification for the space based on seven categories of building performance: Air, Water, Light, Nourishment, Fitness, Comfort and Mind. The Leadership in Energy and Environmental Design (LEED) green building rating system, developed by the U.S. Green Building Council (USGBC), is the foremost program for buildings, homes and communities that are designed, constructed, maintained and operated for improved environmental and human health performance. LEED v4 was initiated to integrate a performance-based approach that calls for measurable results throughout a building’s life cycle. The showroom attained LEED certification for implementing practical and measurable strategies and solutions aimed at accomplishing high performance in sustainable site development, water savings, energy efficiency, materials selection and indoor environmental quality. Mohawk is no stranger to attaining the most rigorous of building certifications. With the Light Lab Design Center in Dalton, Ga., the flooring company established the first Living Building Challenge Petal Certified project in the state of Georgia and the first restoration project in the entire Southeast United States. Additionally, Mohawk holds LEED Gold certifications for the Mohawk Flooring Center in Calhoun, Ga.; the Mohawk Group showroom at the Merchandise Mart in Chicago, and the recently renovated showroom space within Mohawk’s commercial carpet tile manufacturing plant in Glasgow, Va. Many of the commercial flooring products and platforms manufactured by Mohawk Group can help contribute to and comply with LEED, WELL and Living Building Challenge certifications. To learn more about Mohawk Group’s commitment to meeting the highest standards of corporate social responsibility and sustainable building design, please visit MohawkGroup.com/Sustainability.